« BYOD or CYOD – what’s the difference? Let’s face it, technology, while essential, is getting increasingly challenging to manage. Many business owners are struggling to ensure that all of their systems are not only working properly but are also secure. One solution many turn to is the skills and support of an IT partner. These tech partners offer a wide variety of managed services, including managed antivirus solutions that help ensure systems are more secure. However, many business managers are not totally sure what managed antivirus solutions actually are. What exactly is managed antivirus? By now, most people are familiar with the term ‘antivirus’. They know that the majority of solutions are a monthly or yearly subscription that they pay for. By subscribing, the company that created the program will update virus databases, allowing scanners to identify viruses during a computer scan. This type of antivirus software is often referred to as unmanaged, largely because the end-user has the ability to deny updates, turn off the scanner, or uninstall it. A managed antivirus solution is provided by IT partners. These tech experts take care of installing the software on computers and other devices, and will then manage the solution. They will also ensure that scanners are up-to-date and scans are scheduled for a convenient time, thus protecting computers. The best way to think of these solutions is that they are specifically provided by a company to look after your computers and protect them from viruses. Companies that choose to integrate a managed antivirus solution generally see five main benefits. All systems will have the same level of security – With a managed service, your IT partner will make sure to install software on all your systems. This means that there should be the same program installed on your systems, and that the antivirus will be updated to ensure that systems are protected from new security threats that come along. It is easier to manage – Managing your antivirus solution can be a tough task, especially in larger companies where different solutions may need to be employed. By working with an IT partner, your antivirus solutions are managed by tech experts. This is a great solution for business owners who aren’t too familiar with technology, or an overworked IT department. The solutions can be low-cost – Most managed antivirus solutions are offered as a monthly package, where companies pay per user. For some companies, this solution is more affordable per user than a non-managed solution. This is especially true if you have a high number of users and need to purchase multiple licenses. Management is continual – With unmanaged solutions, many users turn the antivirus protection off because it can slow their computer down or because they believe their usage habits are not compromising security. 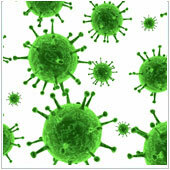 Managed antivirus solutions usually can’t be uninstalled or turned off, meaning your systems are continually protected. Your systems are truly protected – Regardless of how secure your systems are and the steps you take to ensure that malware doesn’t get through, the chances are you will eventually be infected. When you are, it may be tricky to actually completely remove the virus. IT partners are trained in how to do this quickly and efficiently and can usually completely remove the virus, ensuring that your systems are truly secure. If you are looking for a managed antivirus solution, contact us today as we may have a solution that will work with your business. This entry was posted in General Articles C, Security and tagged 2014Jan20_Security_C, Antivirus, Antivirus solutions for business, Managed Antivirus, QS_3, Security, what is managed antivirus?. Bookmark the permalink. Both comments and trackbacks are currently closed.